Which is why the historical inaccuracies of Bohemian Rhapsody are fairly obnoxious. History has been changed wholesale to create a typical narrative instead of the actual one; it takes out one of the most dynamic leading performances of the year and the best rock band sequences since Almost Famous and pushes them into a fairly forgettable film. The film follows Freddie Mercury (Rami Malek) from his joining of a small British rock band and follows them into becoming the biggest band in the world. Culminating in his final, electric performance at LiveAid, the film works because Malek inhibits Mercury on stage. Obviously, he’s lip syncing, because Mercury’s voice would be virtually impossible to replicate from an actor, but the one thing Malek does is own Mercury’s presence on stage. It’s the most important part about any sort of Queen retrospective; Mercury is such a dynamic on-stage presence that any actor taking on the role has a huge task ahead of them; Malek owns it on stage. He’s deserving of the Oscar nomination he’s gotten for it, and probably should win Best Actor, because he captures the essence of Mercury’s big, dynamic presence into enough of a dose to let us know who he was. He’s a man, flawed and all, and Malek brings out a remarkably well-developed portrait of the actor. The downside is that the film really doesn’t do much to delve deeper than surface level in that regard. There are so many interesting parts of Freddie, from abandoning his birth name as a Pakistani man trying to live in a decidedly non-accepting London, to being a gay man when being in the closet was the expectation. There are so many different and dynamic aspects to his life that just don’t get covered, or are quick miss it moments, that you’re left wanting something more interesting. The film is basically the typical rock band story; they came, they saw, they got famous. 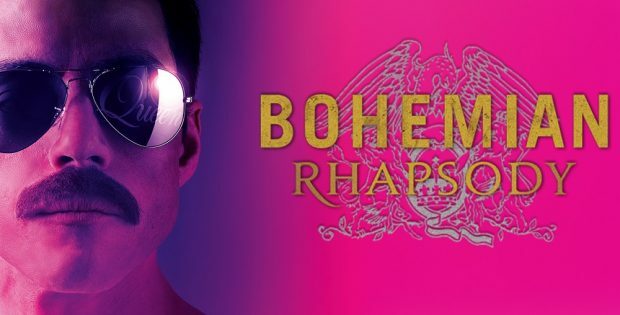 It’s a shame that Freddie Mercury couldn’t have gotten more than two hours; this has HBO limited series of 10 hours devoted to his life written on it and this is what two hours of that would be like. They do have the complete LiveAid performance that they filmed, which is impressive to watch. A handful of EPK extras are the only other highlights.